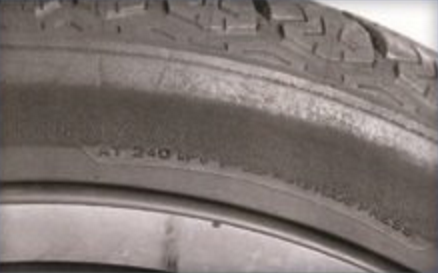 Tire Inspection Procedures – It is necessary to examine an entire tire to identify the probable cause for any condition. 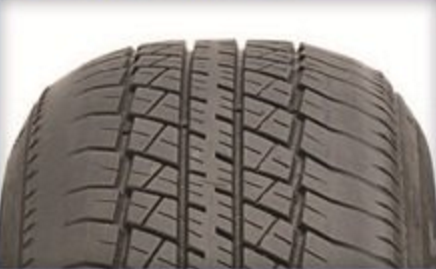 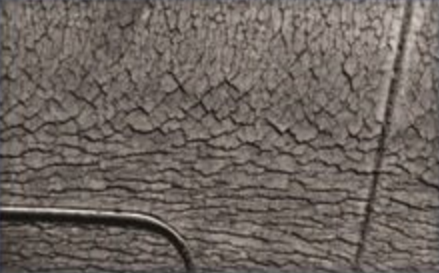 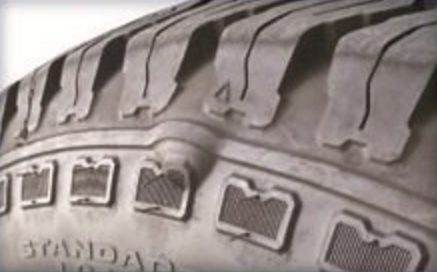 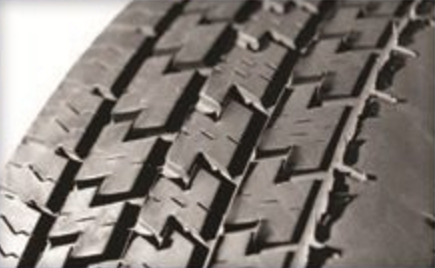 For example, it is possibe that a sidewall bubble may have resulted from a road hazard or improper repair that could only be confirmed by inspecting the interior of the tire. 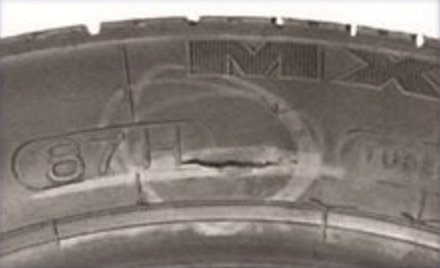 Highight the Tire Identification Code (DOT Serial Number) and all suspicious areas with a tire marker as you inspect the tire. 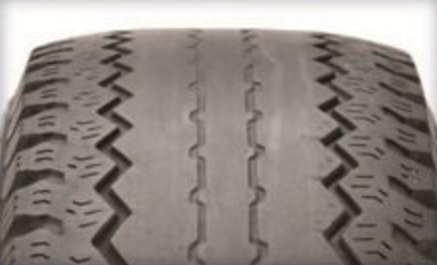 Begin by inspecting all of the way around the cinrcumference of the tread area looking for punctures, cuts, foreign ibjects and any distortion. 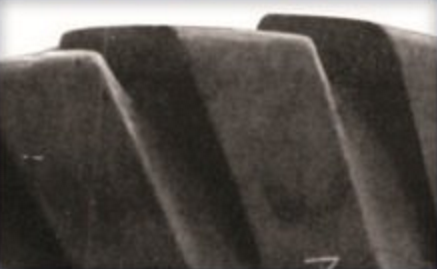 Then examine the outboard and inboard sidewalls looking for scuffing, cracks, bulges, breaks, cuts or weather cracking. 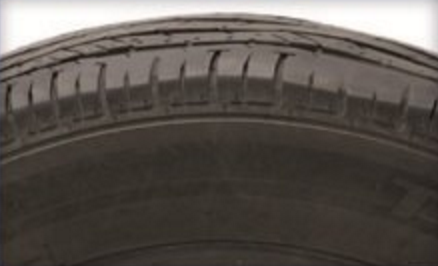 Finally move to the interior of the tire looking for any innerliner penetrations, cracks, blisters or wrinkling.